I always love finding new companies that I resonate with. When Artterro approached me I knew this was such a company. The owners of Artterro began the company to make it easier for people to bring art into their lives. 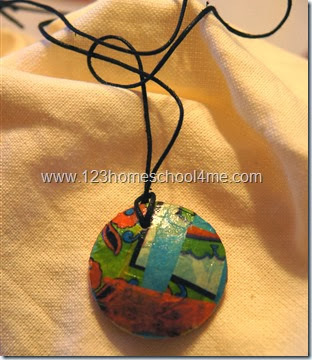 They make eco friendly art projects created from quality supplies that can be made in a variety of ways based on the creativity of the person creating them. 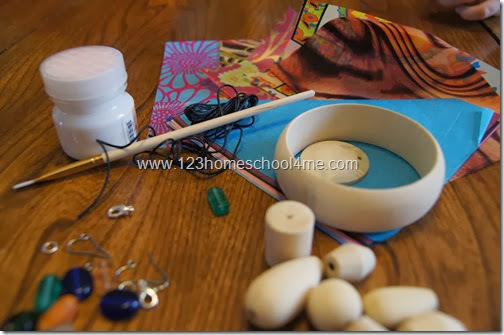 Artterro currently has 12 beautiful, open ended art projects for families to create together. This is a sponsored post written by me. All opinions are my own. I never agree to post anything I can’t wholeheartedly recommend to my readers! 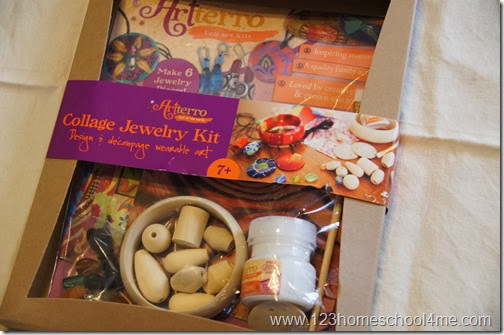 We choose the Arterro Collage Jewelry Kit to take a closer look at. Most kits indicate they are for ages 7 and up. 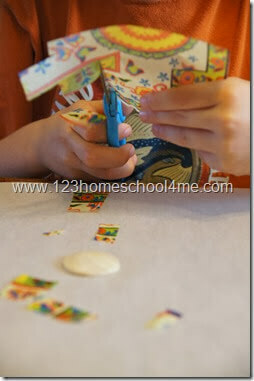 Children in this age range will be able to create and complete the kit by themselves. Younger children will still be able to complete the kit if it is done with a parent. I was immediately impressed by the quality of the materials provided. These are nice materials intended to make a truly beautiful craft that will last, not a nick-nack that will be thrown out within a week or so. 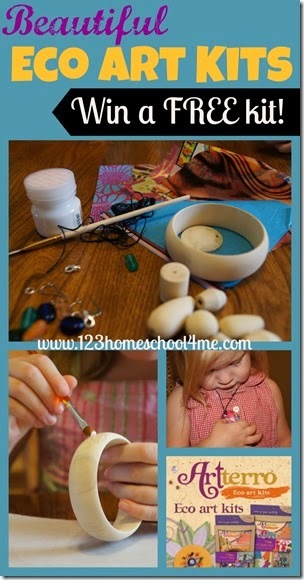 The kit provided more than enough materials to make 3 necklaces, 2 earrings, and 1 bracelet. 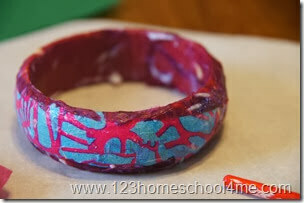 The instructions were clear about the process of completing decoupage jewelry and methods for tying off the jewelry. There are some pictures showing possible combinations to inspire the artist, but the endless possibilities are left to the individual creator. My five year old was able to complete the process and I helped her finish her project to produce an end result she is truly proud of. 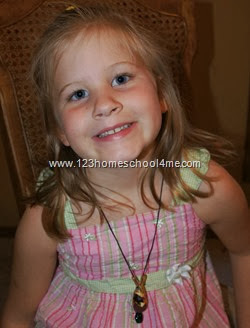 We spent about 60-90 minutes creating our jewelry together. 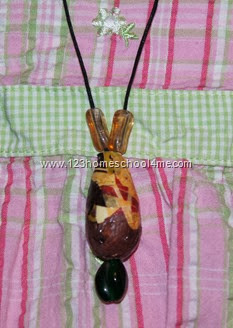 My 5 year old daughter made herself a beautiful decoupage and bead necklace as well as a bracelet to give to Grandma. 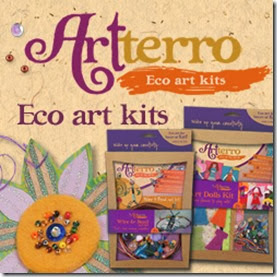 These beautiful Eco art kits would make a wondering gift this upcoming Christmas season!